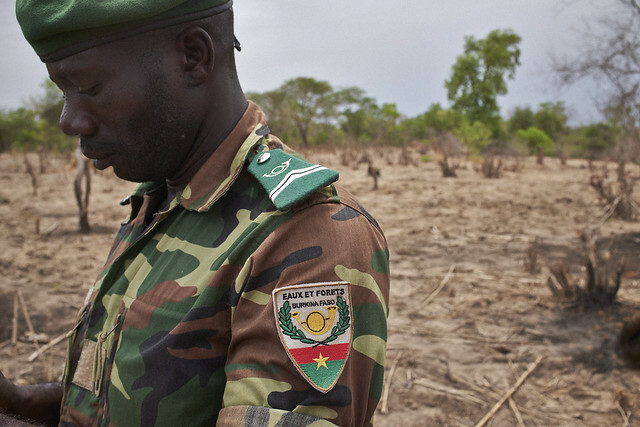 To find out more about Burkina Faso's efforts to protect its forests, read our full story here. 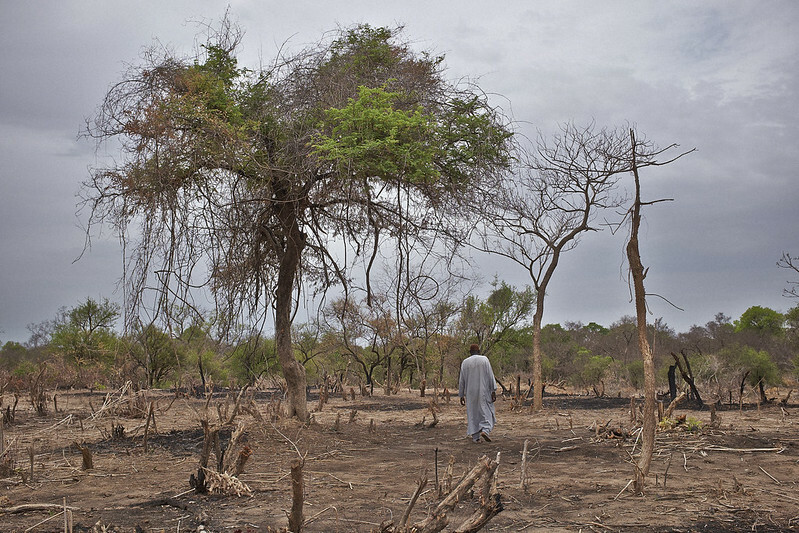 A field where trees have been illegally cut down within Tiogo Forest, Burkina Faso, on May 25, 2014. 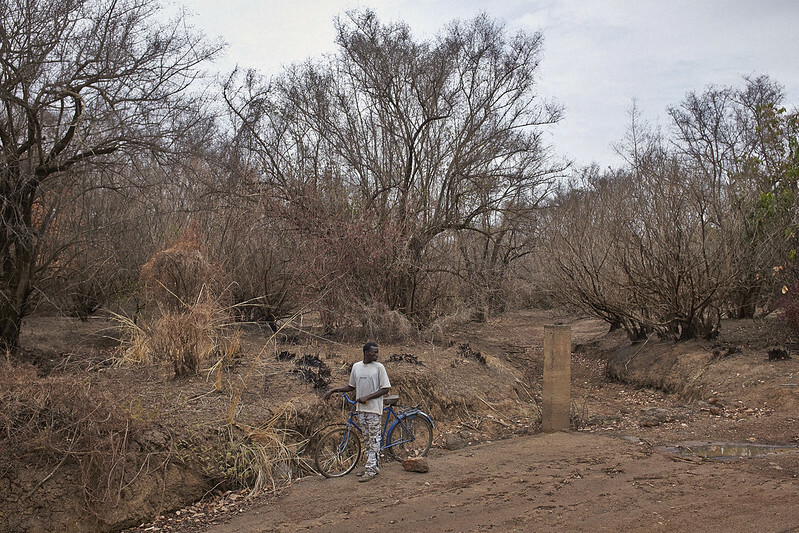 The trees were cut in part because of the inability for forest rangers to reach the area, which lies across a flooded stream that makes the area impassible by road part of the year. 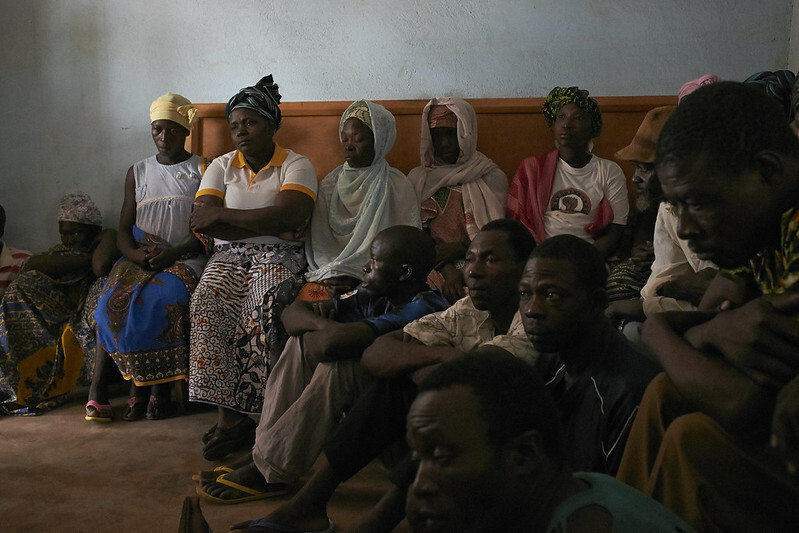 The Forest of Tiogo in the west of Burkina Faso is one of six protected forests to benefit from the Forest Investment Program of the Climate Investment Fund. A meeting of community members with a Burkina Faso environmental department representative involved in the protection of the Tiogo Forest, Burkina Faso, on May 25, 2014. One quarter of the forest's 30,000 hectares have suffered degradation mainly due to overgrazing, agriculture, exploitation of its timber and non timber products. 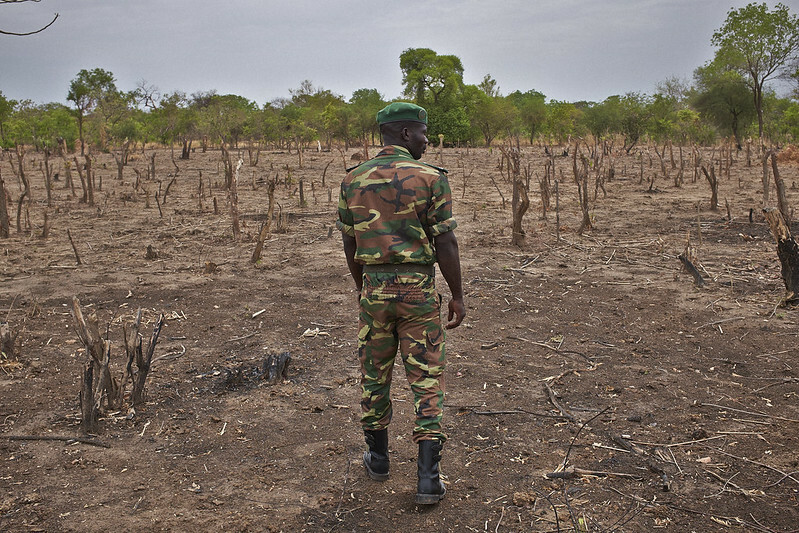 A Burkina Faso Water and Forestry ranger surveys a field where trees have been illegally cut down within Burkina Faso's Tiogo Forest, on May 25, 2014. A Water and Forestry ranger surveys a field where trees have been illegally cut down within the Tiogo Forest, Burkina Faso on May 25, 2014. 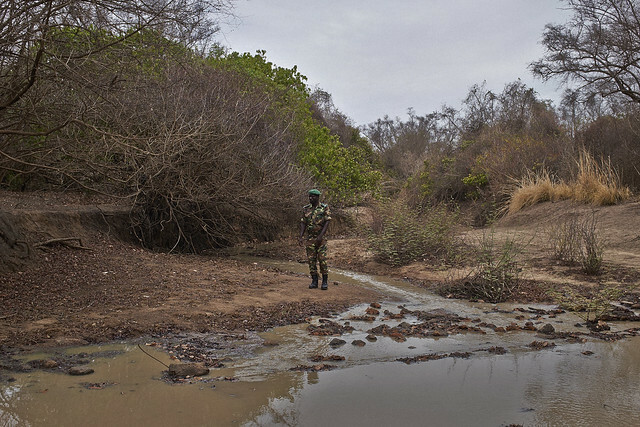 A Water and Forestry Department ranger looks at a a shallow stream crossing within the Tiogo Forest, Burkina Faso on May 25, 2014. During some parts of the year, the crossing is flooded and impassible. A man with a bicycle crosses a shallow stream crossing within the Tiogo Forest, Burkina Faso on May 25, 2014. Wood cut as part of of an initiative between the Burkina Faso environmental department and a community is stacked in piles in a clearing of the Tiogo Forest, Burkina Faso on May 25, 2014. 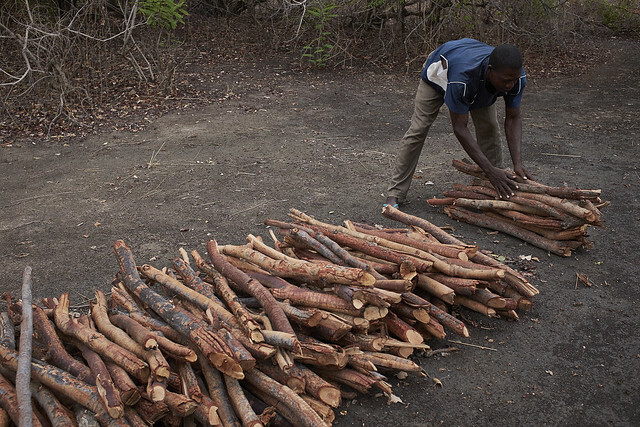 Selected trees are cut in a way to encourage regrowth, and the wood is then sold in local markets. 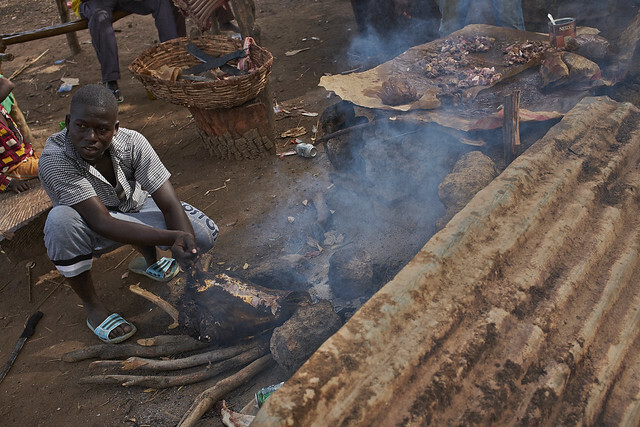 Meat is cooked with wood from the nearby Tiogo Forest, Burkina Faso on May 25, 2014. The Forest of Tiogo in the west of Burkina Faso has suffered degradation mainly due to overgrazing, agriculture, and timber cutting. Goats feed on shrubs within the Tiogo Forest, Burkina Faso on May 25, 2014. 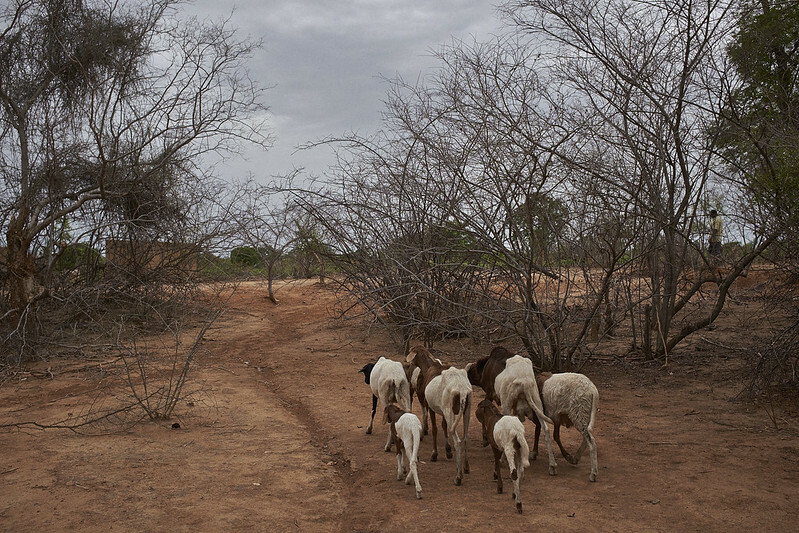 Livestock is regulated to enter the forest only between 8am and 6pm daily for feeding so as to control overgrazing within the reserve. 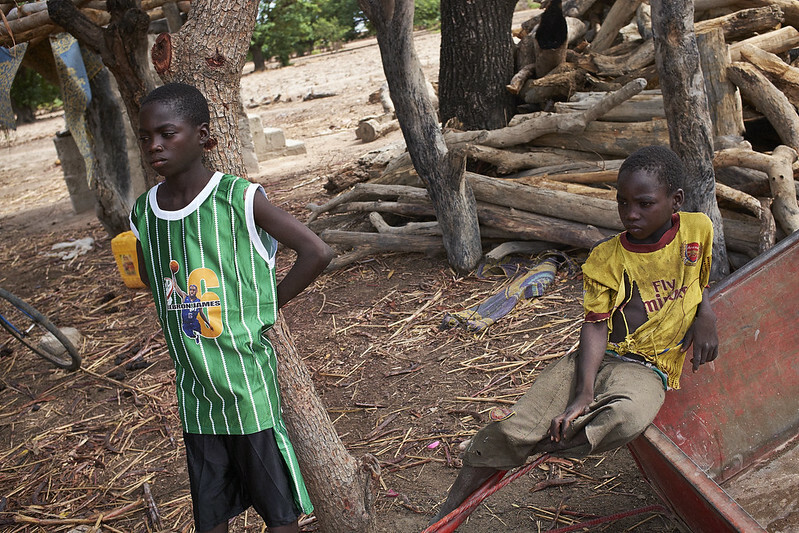 Boys stand near piles of logs outside a home in the Tiogo Forest, Burkina Faso, on May 25, 2014. A boy sorts through a basin of grain at a home in the Tiogo Forest, Burkina Faso, on May 25, 2014. A view from a treetop over the Tiogo Forest, Burkina Faso, on May 25, 2014. The Sunday market in the village of Tiogo next to the Tiogo Forest, Burkina Faso, on May 25, 2014. Many of the food items and other hand crafts come from the forest. 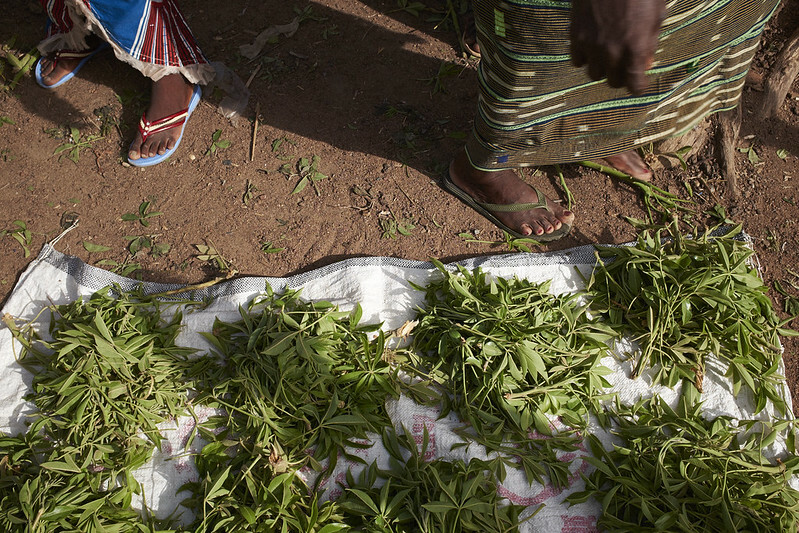 The community is dependent on the conservation of the forest to maintain their livelihoods. 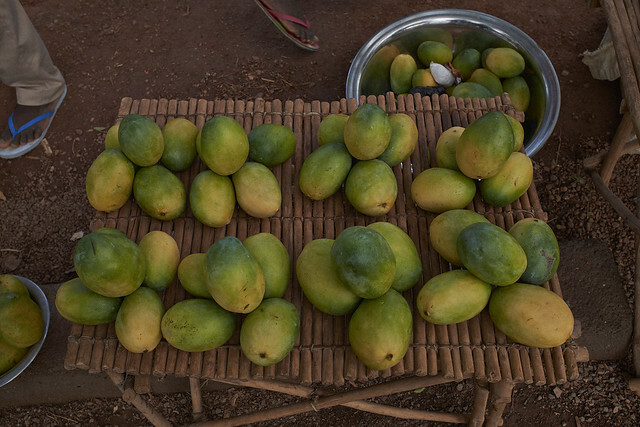 Mangoes grown in the nearby Tiogo Forest, are for sale along the road in Burkina Faso on May 25, 2014. 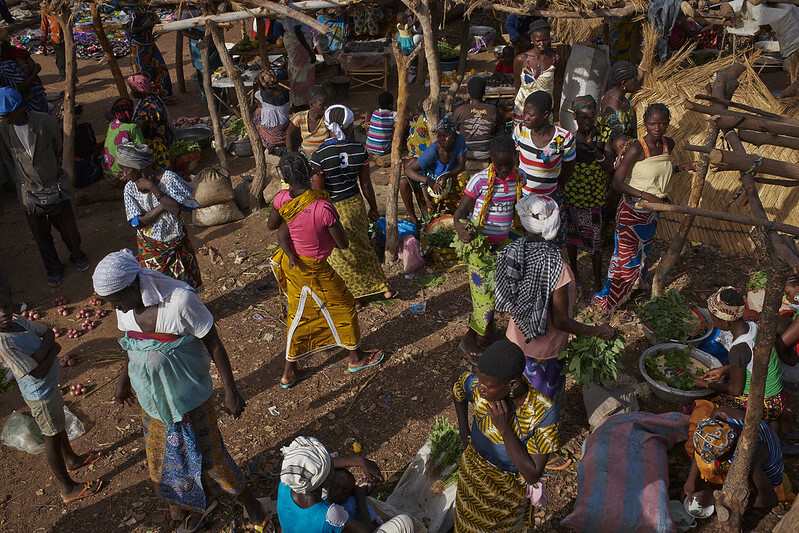 Baobab leaves for sale in the Sunday market in the village of Tiogo next to the Tiogo Forest, Burkina Faso, on May 25, 2014. Leaves, bark, sap and wood from the tree are used for many purposes. The leaves are high in iron and used for medicinal treatments. 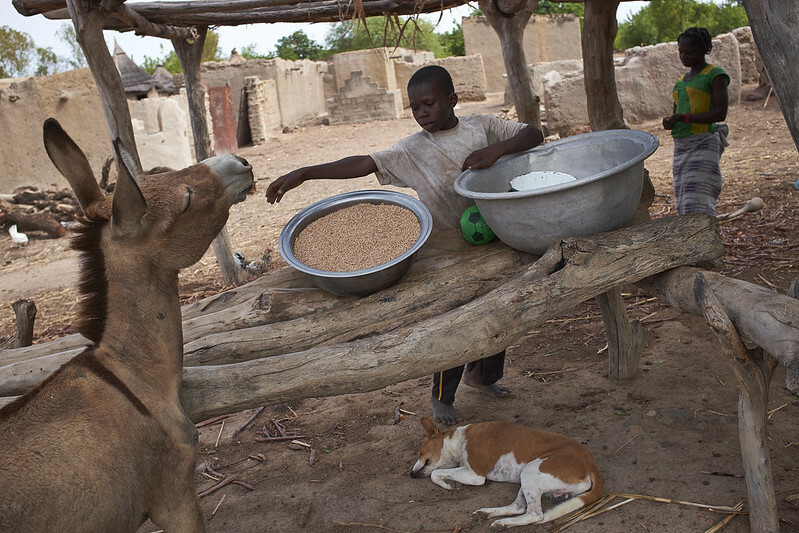 A beverage from the fruit of the baobab is also produced and very popular within West Africa. Many of the food items and other hand crafts come from the forest. 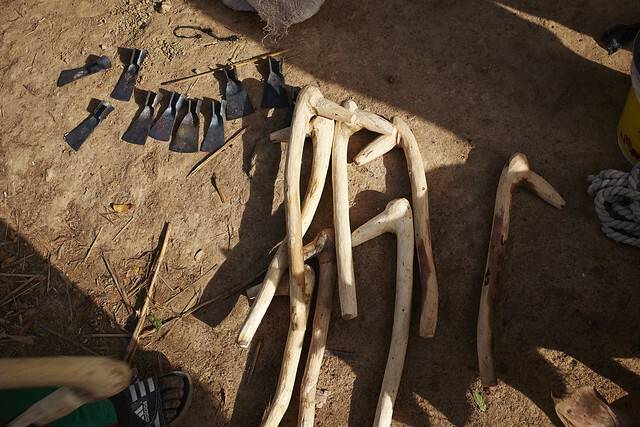 Farming implements cut from trees grown in the Tiogo Forest, Burkina Faso, on May 25, 2014. A man cuts wood to be sold in Burkina Faso's capital of Ouagadougou, on May 26, 2014. 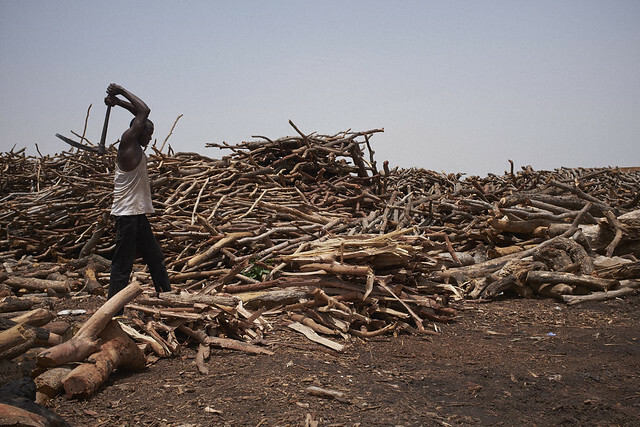 The wood, much of it cut illegally, comes from surrounding forests. 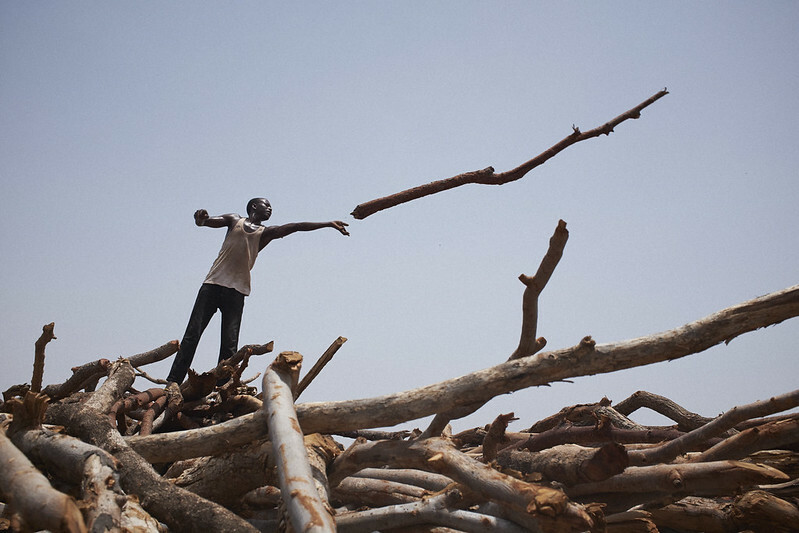 A man selects and throws wood to be cut and sold in Ouagadougou, Burkina Faso, on May 26, 2014. 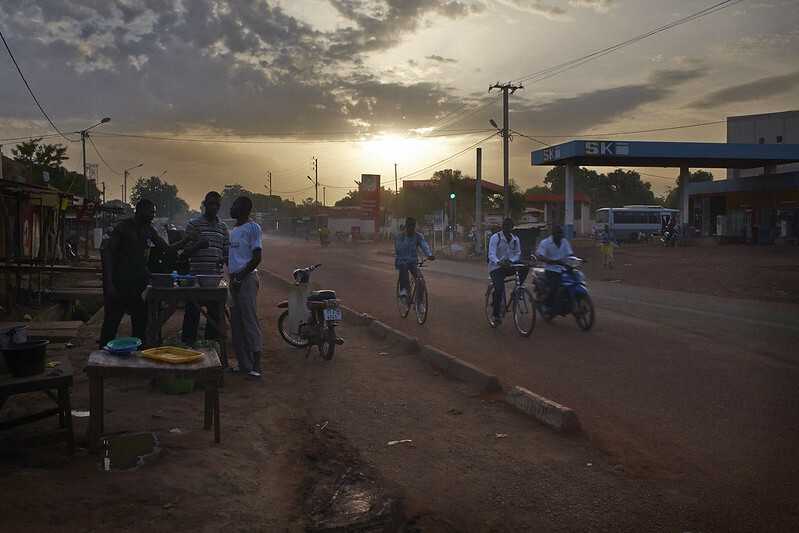 The main street in Koudougou next to the Tiago Forest, Burkina Faso, on May 25, 2014. 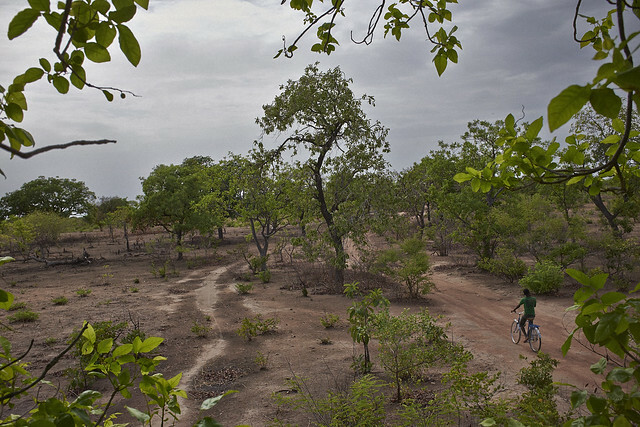 The Forest of Tiogo in the west of Burkina Faso is one of six protected forests to benefit from the Forest Investment Program of the Climate Investment Fund.